[James Dyson] may have built eleventy billion prototypes to perfect his famous cyclonic vacuum, but sometimes just one will do the trick. A cyclonic separator is used in workshops to keep larger cruft out of the dust collection system. The airflow inside a separator creates a vortex that flings heavier bits and particles to the periphery of the chamber, where they settle out the bottom, while relatively clean air escapes the vacuum port at the top. This makes for fewer filter changes and a more consistent pull from the vacuum. You can go buy a fancy professionally-made separator, but [neorazz] shows how to create one from an assemblage of PVC fittings and a five gallon bucket. 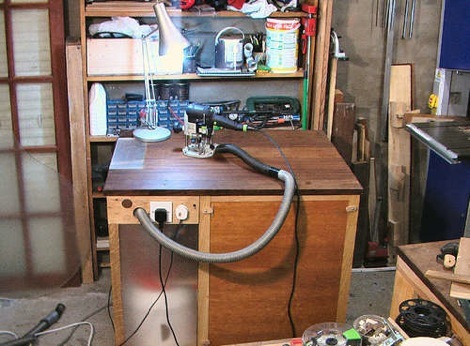 The design may lack the power and slick design of the big units, but for garage hack use this may be all you ever need. They demonstrate it to be about 95% effective, and it’s very simple to make. A prior cyclonic separator hack appeared a bit more work-intensive, but the principle is all the same. It all comes down to what skills you possess and what parts you have on hand. [Don] was having issues with dust when working with MDF. He had a shop vac overheat and die because of it. When looking for solutions, he saw several systems that used cyclonic dust seperation. Not wanting to buy something he could make for cheaper, he left the store and started scrounging parts. You can see his home made system in the video above. This seems like an absolute must have item for any workshop. Great job [Don].